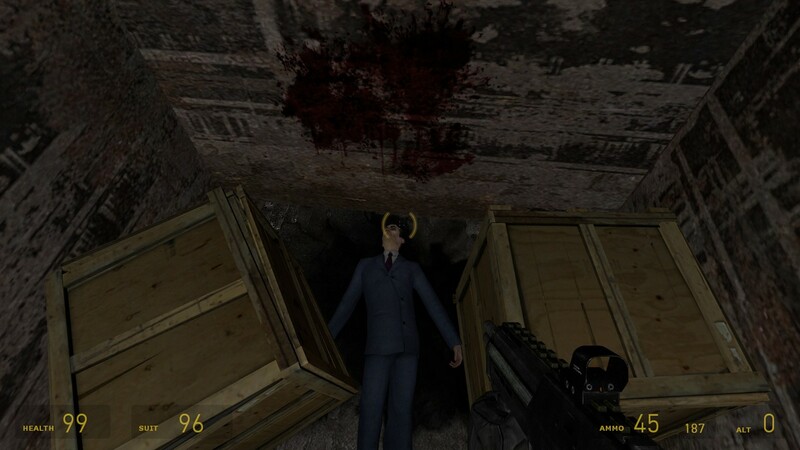 You need the Gman’s help to escape. Move forward until you find him. Copy the hl2_quickescape.bsp file into your …)\Steam\SteamApps\common\Half-Life 2\hl2\maps\ folder. 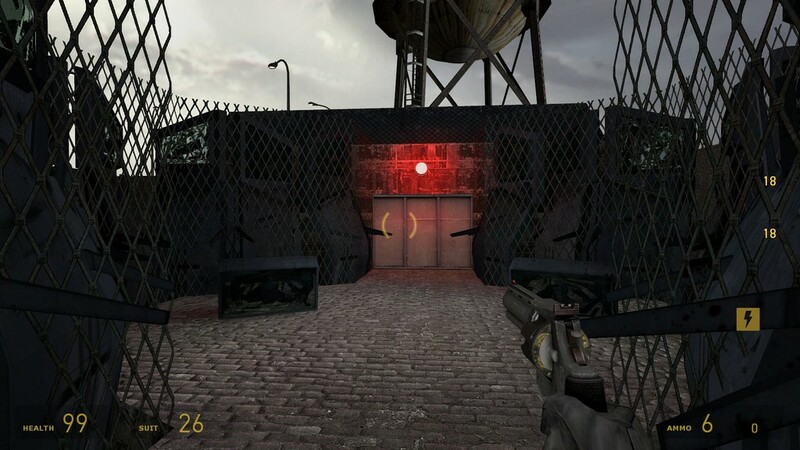 Open the console and type map hl2_quickescape and press ENTER. Very little here to interest you. Just a series of area, strangely connected and with no real challenge. I would probably say AVOID IT normally but I am feeling generous today. Expect no more than 10 minutes of mediocre action. I actually kind of enjoyed the brief action offered by the map, I guess. Though I suspect that it’s more of a product of the developer not knowing how to create proper doors, I thought it was kind of exciting when I crowbar’d a “door” down and was met with a pile of fortified Combine. Aside from the door issue, I also encountered a strange Civil Protection unit looping the “knocking-on-door” animation on a door prop; completely invincible, too. I dunno, there’s not much to say about it. 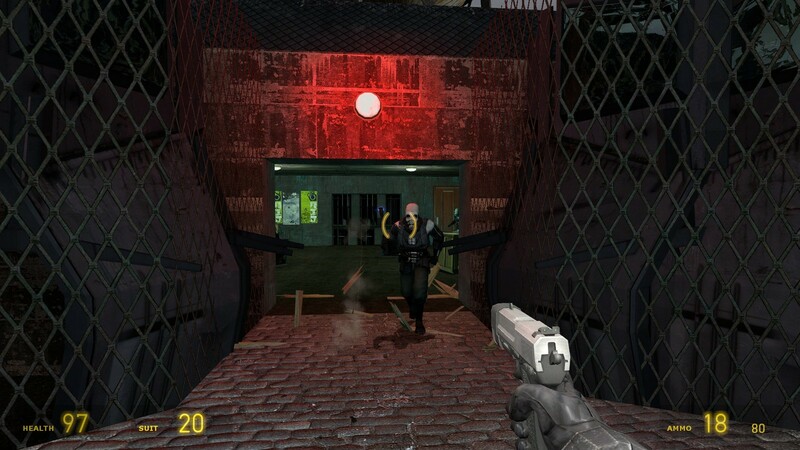 You enter a room, shoot everyone inside, then move to the next one until you reach the surprise ending. 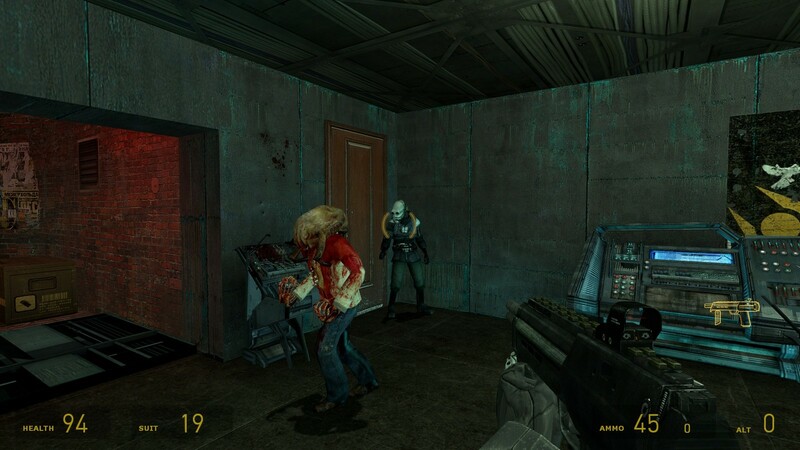 I too got that weird ‘combine guy banging on door’ thing, no idea what was up with that. This map was… interesting? But not ‘quick’ in any way. Not being able to tell that the ‘breakable’ doors were exactly that, I didn’t bother trying too hard after the first few pounds with a crowbar did nothing. I came here and saw the gibb’d door parts in one picture and restarted. While I don’t mind fun close-quarters fights, and this certainly had a couple of those (though nowhere near as difficult as I would think), the nonsensical placement of enemies was a little annoying. Each chamber seemed to be part of a maze, but without any kind of rhyme or reason to placement of any items. How did that burning car GET there? Why are the Combine using wooden garage doors when they have blue-metal sheeting everywhere within reach? In all, play it, but it’s kinda … weird. Not the greatest map, but I think with some collaboration and lots of research on game creation, it is a good start. This is the 6th map on the list. Beginner’s map. Somewhat random and has an extremely simplistic design. But you will not expect the plot twist at the end. Another quick one. Which is not really worthy. Felt too much amateur and linear. 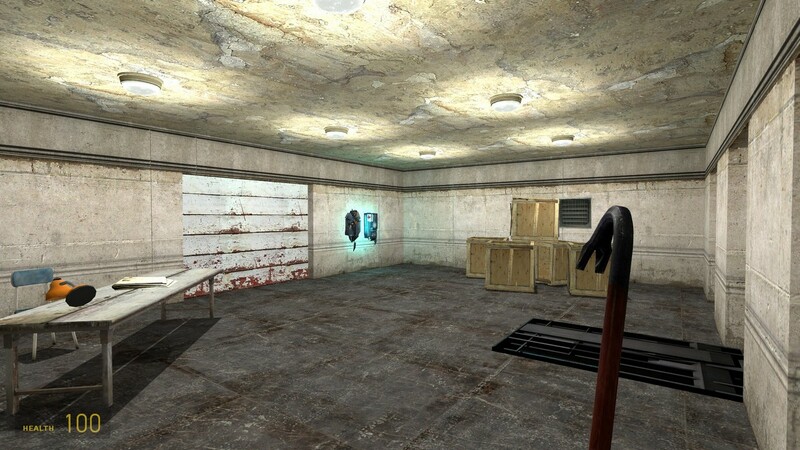 Just like some OK but not good enough beginners map. 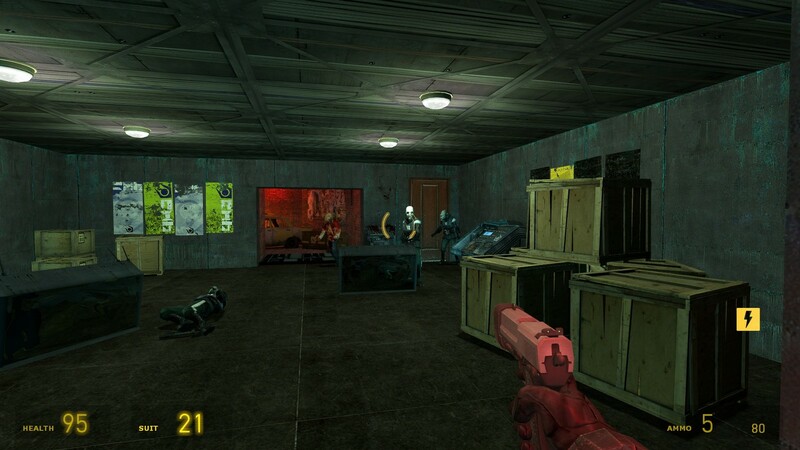 it’s a simple map where you kill a few zombies and soldiers, nothing more. 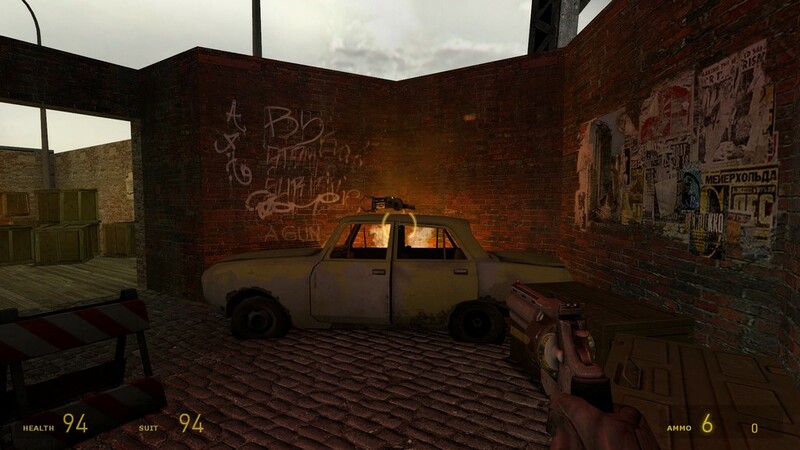 Meh, this map was like… run and shoot. Those doors break the pacing as you are forced to break them in order to continue, which should I say also leaves you very vulnerable? I don’t know whether or not the revolver was within one of those crates at the start, but…it was interesting. Nothing much to say. 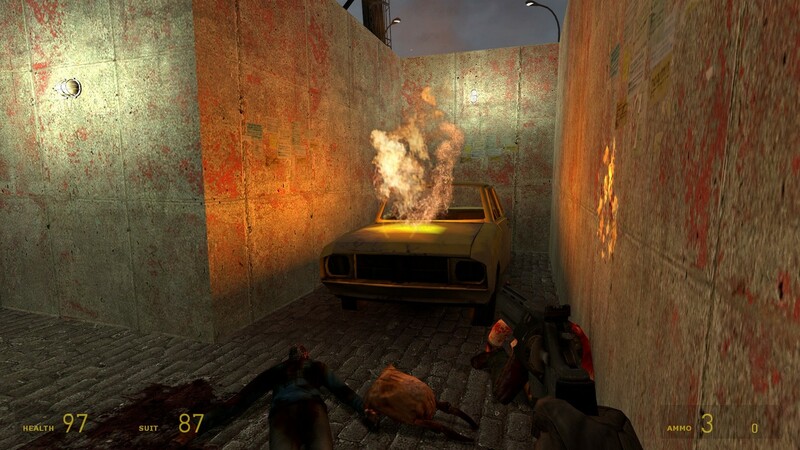 A bit too many Shotgun-wielding Combine ’round the corner but overall the map looked average and pretty ok actually if this also happened to be a rookie’s attempt. Play it for a short fix, otherwise don’t.